One Great Lake. Two Grand Bays. And some of the most beautiful inland lakes in the world. That’s the bounty of water that has drawn people Traverse City area since time immemorial. We hope to bring you all of the best of the Traverse City Area and Northern Michigan. 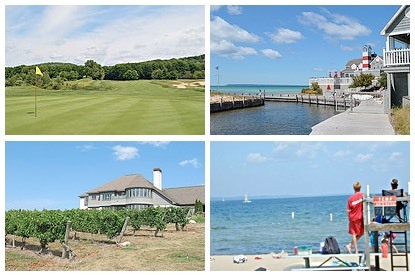 The best beaches, the best shoreline vistas – Sleeping Bear Dunes National Lakeshore has a few – the best golf courses and resorts, the best of the wineries on the Old Mission and Leelanau Peninsulas, the best places to stay and the best places to eat. Check back often for to keep up with all that is happening in the Traverse City area – all year long – spring, summer, fall and winter.